As a child I was introduced early in watersports. Every summer holiday my parents took my brothers and me with them in the campervan to different countries in Europe. The roof of the campervan was always loaded with watersport-equipment (tiny sailing boat, surfboard). We mostly camped closed to the water because we loved to play in the water. When I was 10 years old we went to Poland and I did get my fist kids sail. 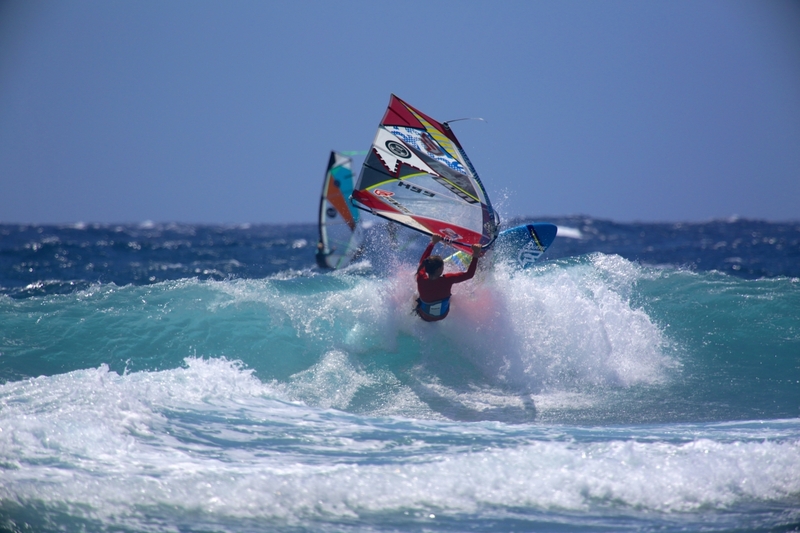 I was hooked straight away and I wanted to windsurf all the time, but I was limited to the summer holidays. I was 18 years old when I moved to Amsterdam to study. After two years I joined a student extreme-sports-society (DERM). With a few students we travelled all summer in a van through Europe to windsurf. Our farthest destination was Morocco (Moulay). That is where I had my first real wave-sailing experience. Although my first experience in the waves mostly consisted out of swimming behind my gear (than I was actually windsurfing on my board), I didn’t want anything else anymore than playing in the waves. I got addicted to the waves! After this trip I started to windsurf besides summer-holidays as well. 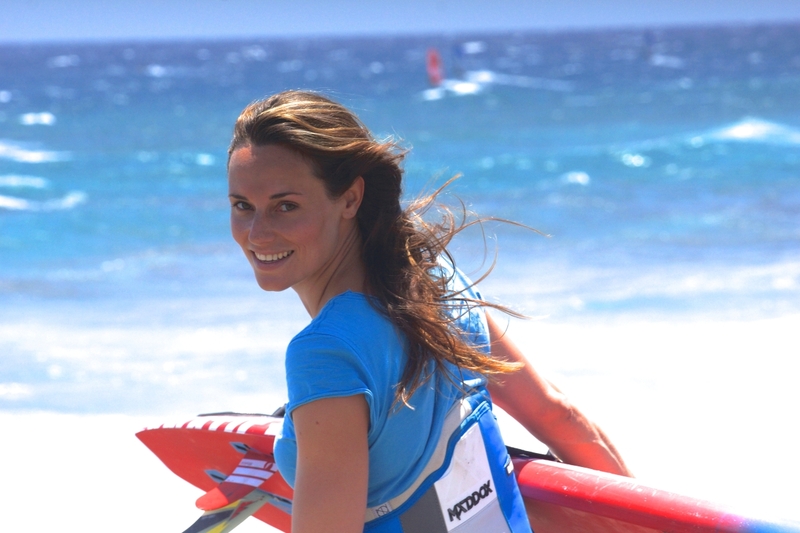 I spend as many time as I could get off from studying to windsurfing and windsurfing trips. 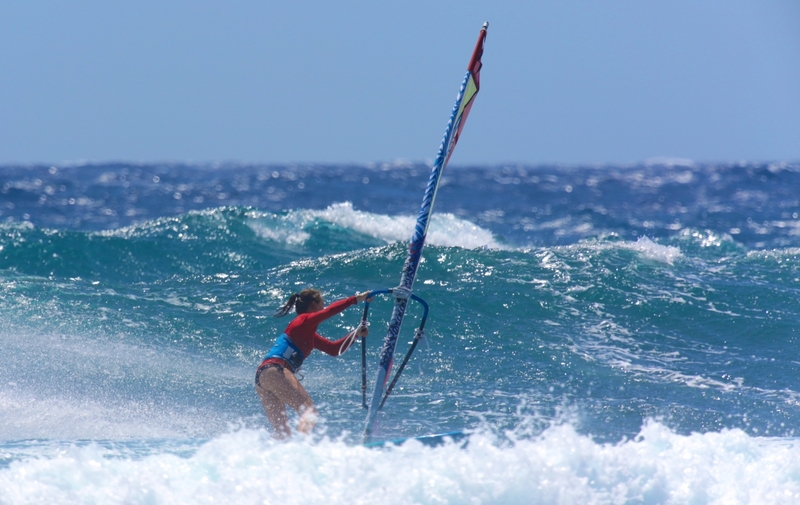 My first real windsurftrip alone was to Maui for a few months. Because I felt in love with Maui I came back a few years later for an internship general practitioner (study) and combined it with windsurfing. I made many more trips around the world to follow my passion like Australia, Africa, Brazil, Canary Islands, Bonaire etc. I have the feeling my adventure’s mind will never rest. Last year I finished my study and at the moment I work as a doctor, but one thing is sure…. I will never stop windsurfing. Finding a nice balance between windsurfing/travelling and work. To be honest, it’s pretty difficult. Getting more girls on the water, have fun and enjoy freedom the fullest! The difficulties for me were experiencing some pretty nasty injuries over time. It probably has to do something with my impulsive fearless enthusiastic mind. If I look back I think it had to be good for something, no? Well at least it gave me time to think and to concentrate on my study to finish it. Thereby I got time for other hobbies like painting, learning guitar, reading and it made me realize how lucky I am. I feel freedom and happiness during windsurfing. The adrenaline makes me feel alive. If I don’t windsurf for a while I really have to kick the habit. At Wijk aan Zee or Scheveningen (The Netherlands), but I never go sailing alone. Especially when it’s cold and stormy we might need to help each other out on the water, it can be risky. Look – imagine/analyze – copy – evaluate and … again. But most importantly: HAVE FUN! That I will hurt myself because I can be fearless. My mom and dad. Although they are in fear when it storms at home and they know I will be on the ocean, they understand. It’s actually kind of cute! Try to imagine the new move (eyes closed) before trying it, be patient and don’t push yourself too much. 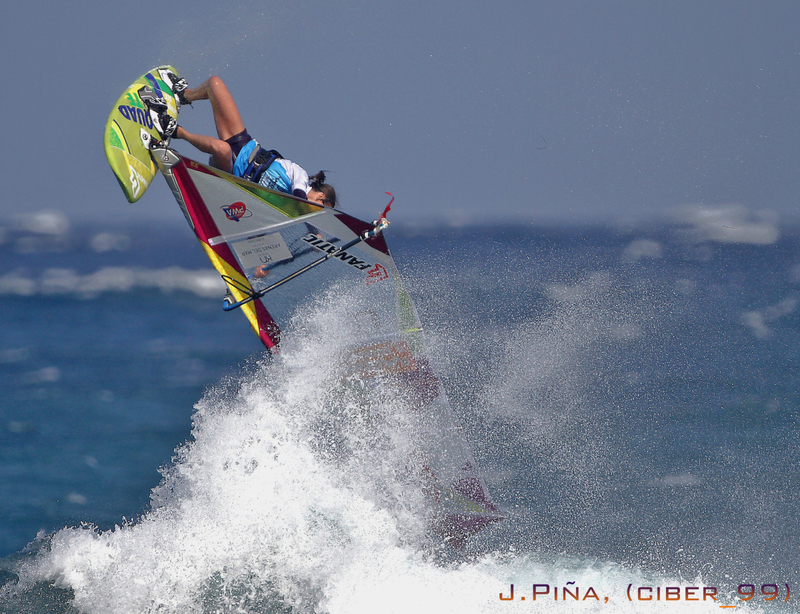 Making more windsurf adventures to wavesailing places/spots everywhere around the world. 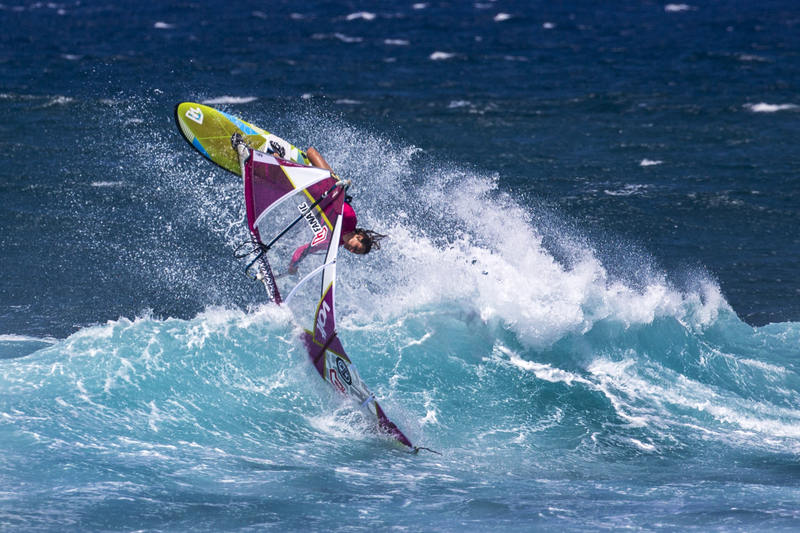 I also would like to windsurf real big waves. It might be hard to learn it in the beginning, but never give up! Once you get a hang of it you want to do it all the time. You will see and experience great places from different views and meet a lot of nice people with the same passion.